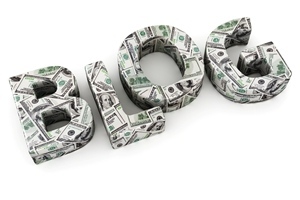 Just how valuable is your blog in the array of marketing efforts you’re investing money in? It’s likely you’re measuring ROI for other efforts, such as PPC ads, but figuring out the return of producing original content for your blog is not as straightforward—and, for that reason, it’s often overlooked. But translating the value of your blogging efforts into an actual dollar amount can be incredibly useful. After all, how can you determine whether it’s money well spent or a waste of precious marketing dollars? How can you take steps to make it even more cost-effective? Your blog should be producing results, else your strategy needs to be re-evaluated. First and foremost, avoid so-called blog value tools. They are notoriously inaccurate, and they don’t measure the factors that truly matter to your business. You’re not looking to sell your blog; you want to understand its contribution—in hard monetary terms—to your organization’s bottom line. When you’re evaluating PPC ad cost-effectiveness, the process is straightforward: You know the budget you set and you can see exactly how much you spend on each ad. But the process for developing blog content, and therefore evaluating its effectiveness, is somewhat more complex. If you outsource content development to freelancers, then calculating their cost is the easiest part of the process. Add up the cost of their services for the period of time you want to measure, such as a particular month. But don’t stop there. Is there someone in-house who finds blog topics, writes posts, reviews the content, or publishes the final posts? Each of those tasks takes time, so ask everyone involved in your content development process to track how much time they spend on blog-related tasks for a month. Then calculate those labor costs. Next, add any promotional costs: Do you promote your blog through PPC ads, Outbrain, banner ads on related sites, guest-posting, or other outreach efforts? Once you’ve added up the cost of freelancers, in-house labor, and promotion, you’ll have a total cost for content creation. Next, determine how much it costs you to acquire a visit to your blog—your “cost per visit.” Take your cost of content creation and divide it by the number of visits to your blog over the same time period. 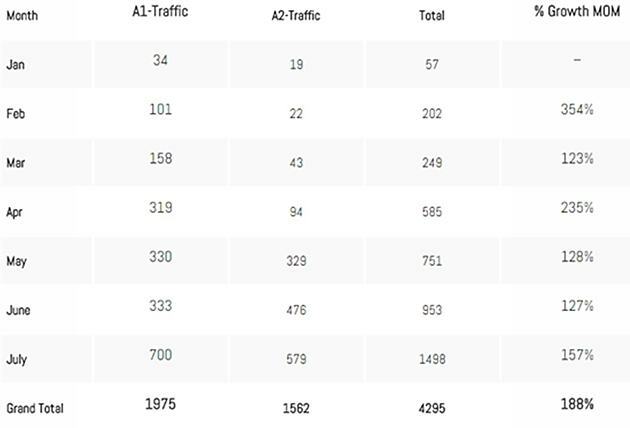 That number will likely be more or less comparable to the average CPC for PPC ads, so it’s valuable to consider that when comparing both types of marketing efforts. Using a similar train of thought: you may want to compare different content strategies, just as you might compare different ad copy and images for your PPC ads. It can be valuable to determine the cost per visit for different types of content. For example, you may want to determine how much it costs to generate an infographic blog post versus one that is purely text, or “how-to” posts vs. editorials, or content written by different authors. Here’s an example of a blog that has two authors (A1 and A2), with different price points for their content. Next, look at the total visits per author. In this case, only entrances to the site based on each author’s specific content were included. From there, to compare, you can divide the cost of each author’s work by the number of visits. For A1, the total of $1,520 divided by the 1,975 visits results in a cost per visit of $0.77. For A2, the total of $1,960 divided by the 1,562 visits results in a cost per visit of $1.25. If you earn money from advertising or direct sales, this is pretty straightforward: Add up your total profits and divide by the number of visits for that month. But if a business’s goal is to convert blog visitors into sales of products or services, this is probably the trickiest part of calculating your blog’s value. Set up the e-commerce tracking code. If you sell products directly on your website, you can set up the e-commerce tracking code in your shopping cart, and you will see the actual value of the transaction in the Revenue metric in Google Analytics. You can track how many visitors went to your blog before making a purchase. Track visitors that go to your “contact” page. Determine the average revenue from a new client, and then figure out how often a prospect who calls converts into a paying customer (e.g., 1 in 10 times). Then you can use that data to assign a value to each of these “conversions.” It won’t be an exact number, but it will give you an approximate figure to work with. Ask new clients. When you land a sale, find out whether they visited your blog before making the purchase. You can have your sales team ask or add the question on your checkout form. Track answers over a period of time, and add up all the sales that can be attributed to your blog. Use call tracking. Use a unique phone number for prospects who visit your blog. Any sales from calls that come in through the number can be attributed to the blog. Focus on your reach. If a primary goal of your blog is to establish your brand or expertise, then it may not be necessary to assign a monetary value per visit. Instead, focus on your cost per visitor; the more people you can reach for each dollar you spend, the better. Or, better yet, explore your demographics to ensure you’re reaching the audience you want to with your blog. Don’t stop just yet. Consider one more thing that many overlook: other uses for your content. Are you reusing those blog posts in an e-book, newsletter, social media updates, or other marketing materials, including those in print? If so, calculate the cost and value of those uses, as well, to ensure you’re getting a more complete picture of the value of the content development. If not, consider that doing so can help improve your ROI. you are welcome, we are always happy to help.